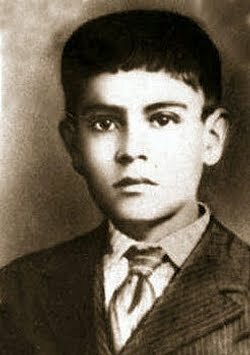 Blessed José Sánchez del Rio | The Size of a Mustard Seed. Matthew 17:20. Imagine living in a country that is passionately Catholic, filled with thousands of beautiful, faithful people and suddenly a set a laws being passed. This is not just any set of laws. This is a set of laws that will impact your life greatly. They completely take away your religious freedom. Attending mass becomes illegal. If you wear any sign of your faith you can be thrown into jail. The president beings to send troops to shoot-up churches while mass is being said. Churches were being closed and destroyed. It is a violent, terrible persecution of the church, and people are being killed just for living out their faith. What would you do? How would you stand up for what you believe in? This is the situation Jose (pictured above) found himself in. He lived in Mexico during the time this terrible persecution took place. It was the year 1926 when the government began viciously attacking any person of faith, and Jose knew that he had to do something. There was an armed resistance forming to fight for the faith. This army of brave men and women called themselves the “Cristeros”. At such a tender age Jose left his home to go join the fight. Two years later, during a battle, Jose was captured by the Mexican troops. They sentenced him to death and was tortured for the two weeks he was in prison. The officials would continuously tell him that if he would simply deny his faith they would let him go. All he had to do was say “death to Christ the King.” Jose would only say back to them “Viva Cristo Rey” (Long live Christ the King). He was not going to back down. This brave young man was executed on February 10, 1928. This came after the soldiers brutally sliced the bottom of his foot and forced him to walk across town to his grave site. Once they reached this destination, the soldiers again offered to let him go. Jose loved our Lord so that he was honored to become a martyr. He again shouted “Long live Christ the King!” , forgave his executioners, and was killed. He was 14 years old. Imagine having the courage and the faith to give your life what your beliefs at that age. He is a modern day martyr. He truly has the courage and strength of a hero. It is so beautiful to see these amazing traits in such a young boy. Let us all follow his example. To always fight for what we believe in. To not be afraid of what may come. To be able to beautifully show our faith to the world around us. Blessed Jose Sanchez del Rio is beyond inspirational. He shows us that no matter our age, it is always possible to become an epic saint. Let us pray for the grace to be like him. Blessed Jose Sanchez del Rio, Pray for us!